WTF is Going on with Today’s San Diego Groupon? House Boi is in the HOUSE… boi! WTF is this? Today’s San Diego Groupon is horribly offensive. I mean, limit only one person person? That’s b.s. 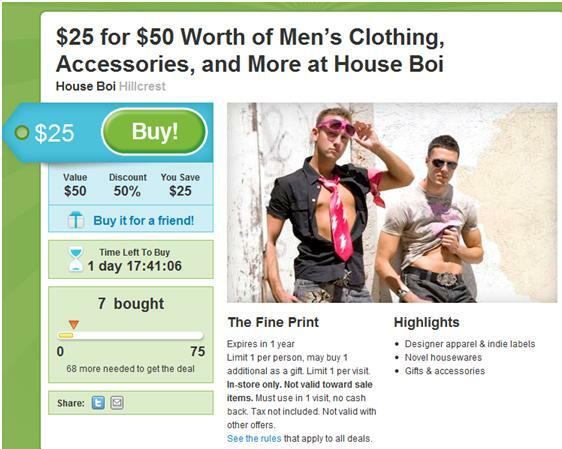 This entry was posted in Entertainment, Events, Fashion and tagged Fashion, Groupon, Hillcrest, House Boi, San Diego. Bookmark the permalink.